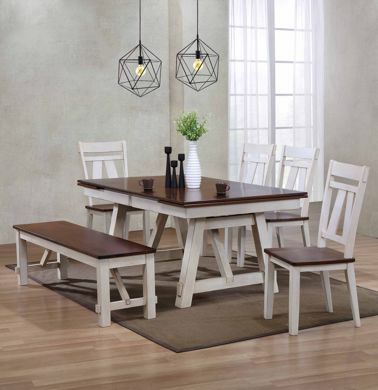 Embrace a relaxed farmhouse style with this rectangular dining table. 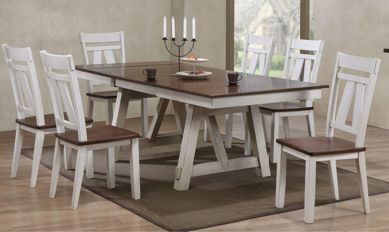 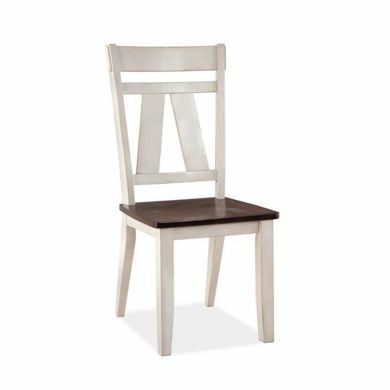 It offers a rustic cherry finish top and off-white finish saw horse style trestle base. 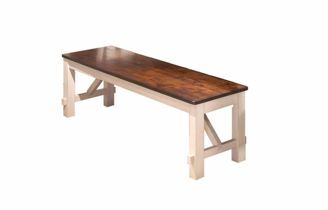 Additionally, the refectory dining table has two self-storing extensions that extend the table from 66 inches long to up 94 inches long with both leaves.